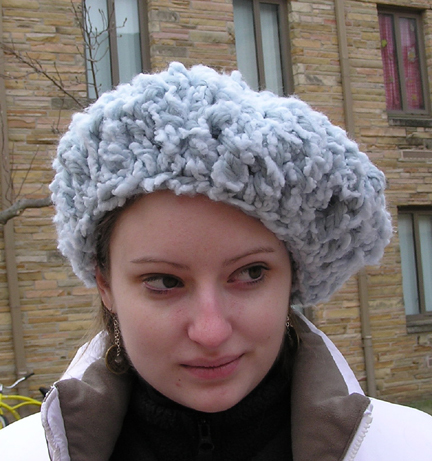 The Russian is crocheted combining two types of yarn crocheted together. 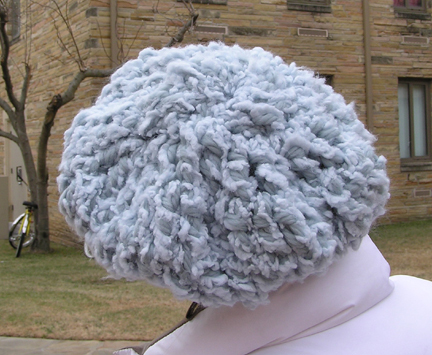 A chunky yarn of 100% merino wool is combined with a lightweight fuzzy 100% nylon yarn to give a unique texture. Hand wash in cold water using soap (not detergent) and dry flat or dry clean.